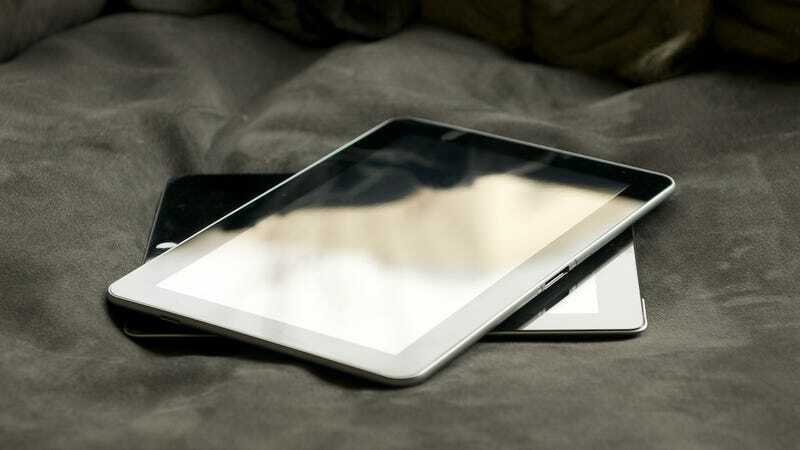 It's the first tablet that's as immaterial as the iPad 2, in form and weight and feel. (In fact, it is slightly more so, by a gram and a millimeter.) That's amazing. What's more amazing, maybe, is the fact that it's amazing. It's not quite as rigid, not as sturdy or deliberately constructed. That's because the back is plastic, glossy and thin. And like the Motorola Xoom, it's proportioned in a way that it's really meant to be used in landscape—it's too tall, too long in portrait mode. But it's still the first Android tablet, the first non-iPad tablet to feel the way that tablets this size should feel. (It's interesting how closely this resembles an iPad in practice, but anyways.) Every millimeter, every gram counts, and in the Galaxy Tab 10.1, the math is beautiful. More on this later. But even if it's exactly the same as the Xoom and every other Android Honeycomb in terms of power, performance, features—this is the new Android tablet to buy. Because it's the first one to feel right.